Essential & Exclusive - A massive selection 80s New Romantic hits & hands in the air classics. Exclusively mixed & remixed for dancefloor success! 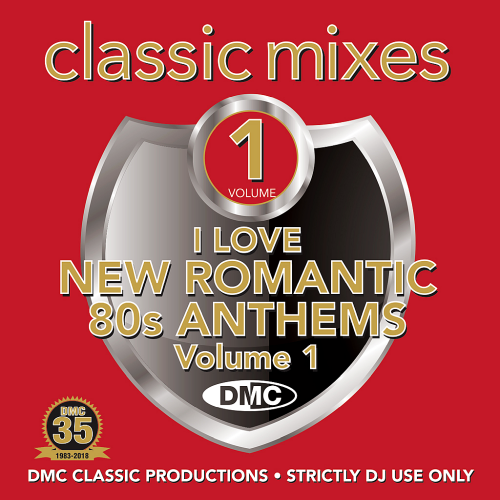 DMC Classic Mixes – I Love New Romantics 80s Anthems is designed and signed as a reference on your choice of several exchangers file.Compilation, Limited Edition, Partially Mixed reliability and availability, is the property of our portal, efficiency and commitment to new heights, as well as the immensity of the creative transformation! Mixes from Kevin Sweeney, Dakeyne, Steve Anderson, The Young Parisians & Guy Garrett. A must for any fan, these rare and collectable tracks are not available from anywhere but DMC and the master remixing DJs.